Al-shabaab kidnapped several JAP drivers in Northern Kenya. - Bana Kenya News, Real African Network Tubanane. Home News Al-shabaab kidnapped several JAP drivers in Northern Kenya. Al-shabaab kidnapped several JAP drivers in Northern Kenya. Alshabaab has hijacked several cars in Wajir which belongs to the Jubilee party. 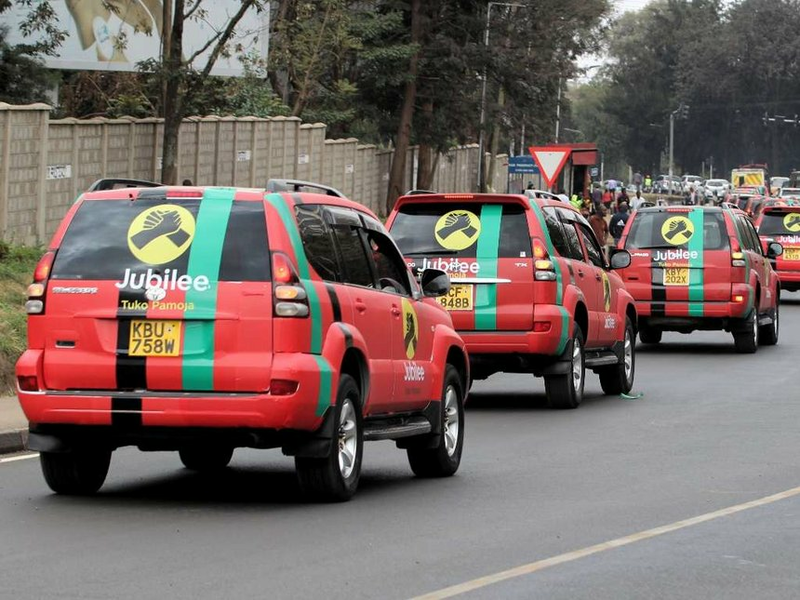 The cars which were to be used in the campaign in Wajir where the president was heckled were hijacked with its drivers. The Jubilee party has not official stated the allegations. According to our reliable sources, it is known that the cars were driven to their party office in Wajir town from Nairobi when they were hijacked. It is not clear the reason why they hijacked the cars and they did not kill anyone. This is a second attack after they stole BVR kits in Mandera.The cars were to be used in the campaign as Wajir had a new local party integrated into the Jubilee Party. The Al-Shabaab has claimed responsibility for the attack. The KDF are persuading the attackers and its allegedly they disappeared in Somalia. According to the report from the KDF, they followed the carjackers to the Somali border and it then disappeared in the southern Somalia.